Product prices and availability are accurate as of 2019-04-11 10:12:34 EDT and are subject to change. Any price and availability information displayed on http://www.amazon.com/ at the time of purchase will apply to the purchase of this product. An updated, streamlined Enhanced Pearson e-Text based on the highly successful previous editions of Teaching and Learning with Technology, this resource presents student-friendly help for preparing the 21st century learner and for improving the teacher’s role as educational technology leader and advocate. 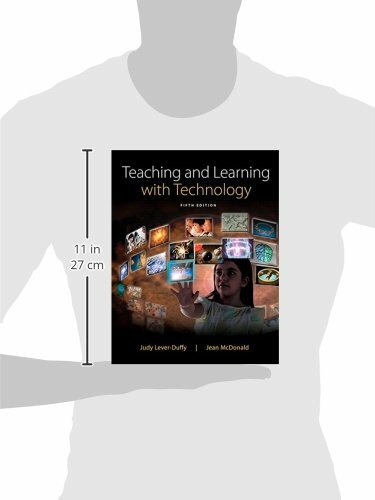 In it readers get a clear, current look at the range of educational technologies available for use in today’s classrooms, and the many ways teachers can use technology effectively to enhance learning. Chapter learning outcomes are aligned to NETS-T Standards; a unique explanation-demonstration-application approach introduces and demonstrates content and follows up with application activities; and a number of outstanding interactive features within the Pearson eText bring the concepts to life, among them Tech Tutors, Voices from the Classroom, Hands On Learning activities, Skills Builders, Foto Flips, flash reviews, interactive web links, and more. 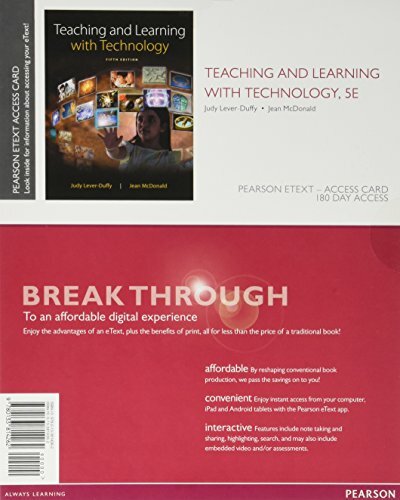 The Enhanced Pearson eText features embedded video, flash reviews, pop-up activities, and assessments.